Make your theater seat your armchair, and watch the story unfold. Award-winning theater, opera and dance; star-studded companies; avant-garde venues; and off-the-cuff experimental troupes—from the Lyric Opera to Broadway in Chicago, and The Yard at Chicago Shakespeare to the Joffrey Ballet. 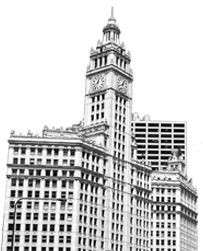 With premier events like Chicago Theatre Week in February, and theater and dance festivals throughout the year, the entire city is your stage. Come find your perfect seat. World-class theater is on show throughout Chicago, from the Loop to neighborhood stages. In Chicago, the Bard speaks to everyone! The choice is yours at the Chicago Shakespeare Theater at Navy Pier. Founded in 1974, Victory Gardens Theater has produced more world premieres than any other theater in Chicago.